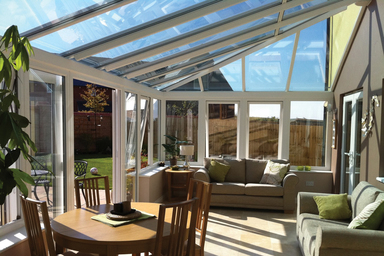 Your chosen Conservatory bespoke to your specification - personalise it with the help of our Technical Team! Unlike Conservatories made in two halves, where the roof comes from a different source to the windows, every part of our Conservatory system has been designed as a complete room. 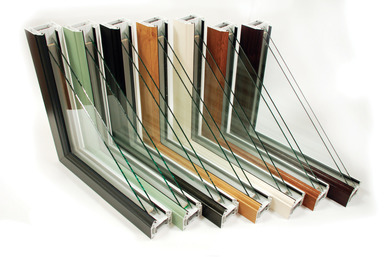 Our complete Conservatories are now available in a variety of colours as well as white and the usual woodgrain finishes. 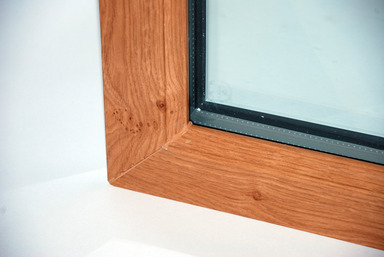 If you choose one of the woodgrain finishes your Conservatory roof will have aluminium Hip top caps not PVC-U. 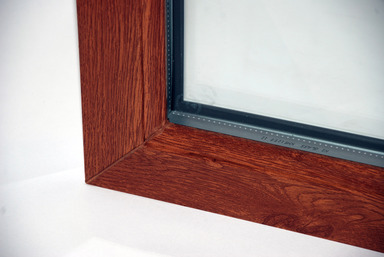 Because darker colours absorb more heat, the woodgrain effect finishes are applied to aluminium rather than PVC-U so they can withstand higher temperatures and remain perfect for years to come. Aluminium comes as standard for woodgrain effect Hip top caps, but we also offer high gloss powder coated aluminium top cap in white as an option. 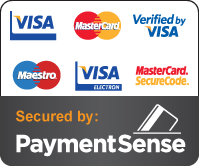 Our Conservatories guarantee high quality and performance of the highest standards. The classic sculpture of the frames follows through onto the eaves beam cladding, ridge bottom cladding and rafter bottom caps - a true conservatory solution! No doubt you will have many more questions! Let our dedicated and experienced technical advisors help to guide you through the planning and design process and take the headache out of the situation! Are you working to a budget and what can you afford without compromising on quality? Is the Conservatory going to be located on a south or north elevation? What material should you choose for the roof and will it give adequate UV protection in the summer months? What sort of heating should you use? How much ventilation will the Conservatory require and will it need Air-Conditioning? Having the option to choose your preferred PVCu finish both externally and internally means that you can personalise your Conservatory. You can choose any of the beautiful new contemporary colours to match your property on the outside and choose White on the inside to suit your decor! 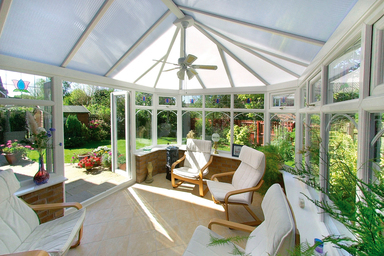 Where will your conservatory be facing? What will your conservatory be used for? Recommended for North facing elevations. Lets plenty of light in! Recommended for South and West facing elevations. A popular choice for Woodgrain finish Conservatories. Recommended for South facing elevations. Helps diffuse ultraviolet rays. Recommended for South facing elevations. 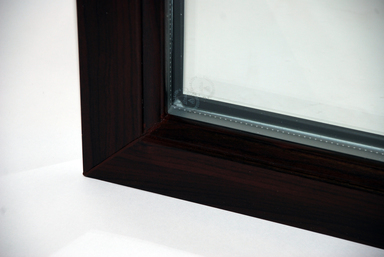 Provides a bright appearance internally, reducing Solar Heat Gain. Highly recommended for south elevations. 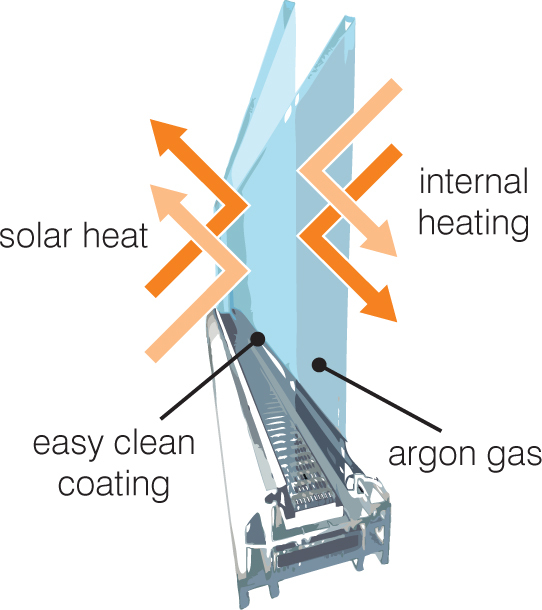 The reflective external coating allows the light in but deflects solar radiation reducing solar heat gain. Has Opal finish internally. 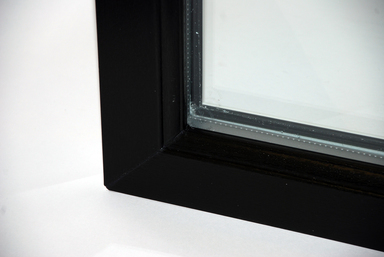 Performance Glass takes double glazed units and uses technology that increases insulation properties and solar protection. 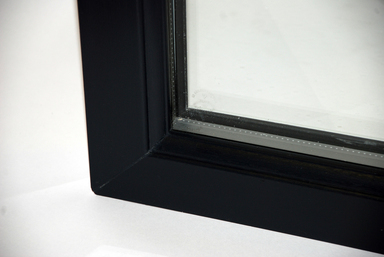 Celsius Glass utilises a Low E and Solar Control combination coating, with an Argon filled cavity to control the amount of visible light, UV and heat that passes through the glazed unit. Easy Clean technology reduces maintenance. DECORATIVE GLASS – ADD A PERSONAL TOUCH! French doors come as standard on our conservatories but you can choose to upgrade to Patio doors or maybe even a set of Bi-fold doors. A simple but elegant solution. 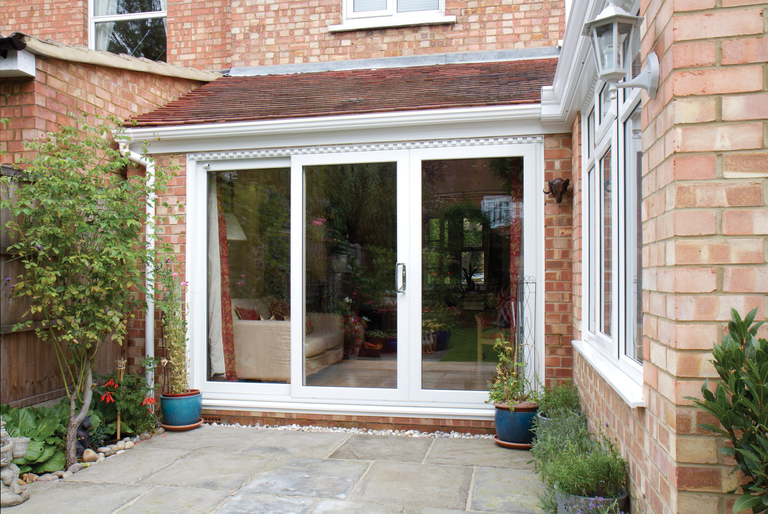 Patio Doors take up minimal space and grant easy access to the outside. They are available with sliding and fixed roof configurations. Perhaps the ultimate conservatory upgrade is the addition of Bi-Folding Doors. 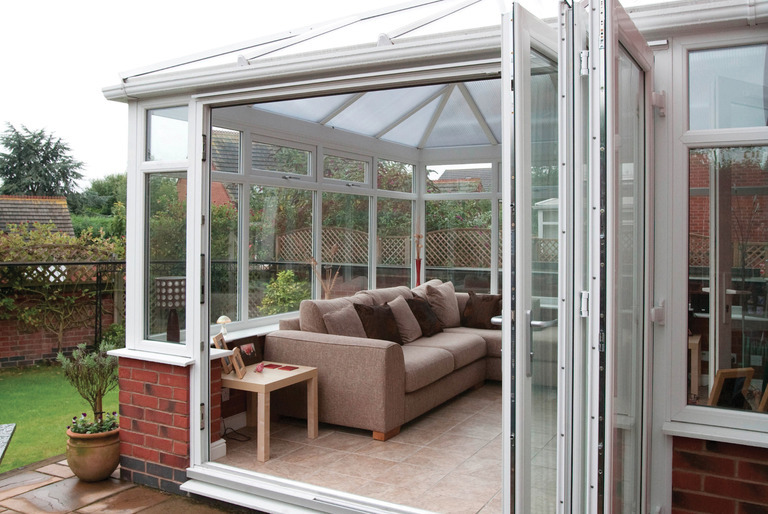 You could choose to open up the entire side of your conservatory, bringing the outside in more than ever before. Air ventilation can be easily over looked, but in the summer months ensuring you have considered air flow will make for a much more enjoyable environment. The number of opening vents and windows in your conservatory is very much a personal choice, some people prefer to keep costs down by having a minimal amount of opening windows, where others prefer the flexibility of a window in every panel. Ask us about the recommended number of opening windows in your chosen conservatory size and position and we will be please to advise you. 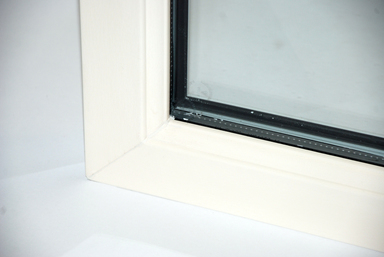 For maximum control over the air flow in your conservatory, add opening windows. 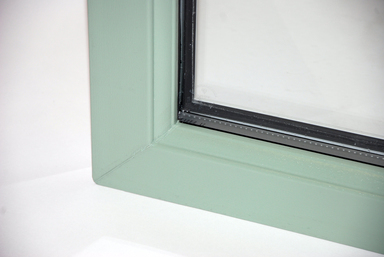 You could choose to have small opening windows in the top of some (or all) of your panels, or have deep opening windows in the main area as shown here.